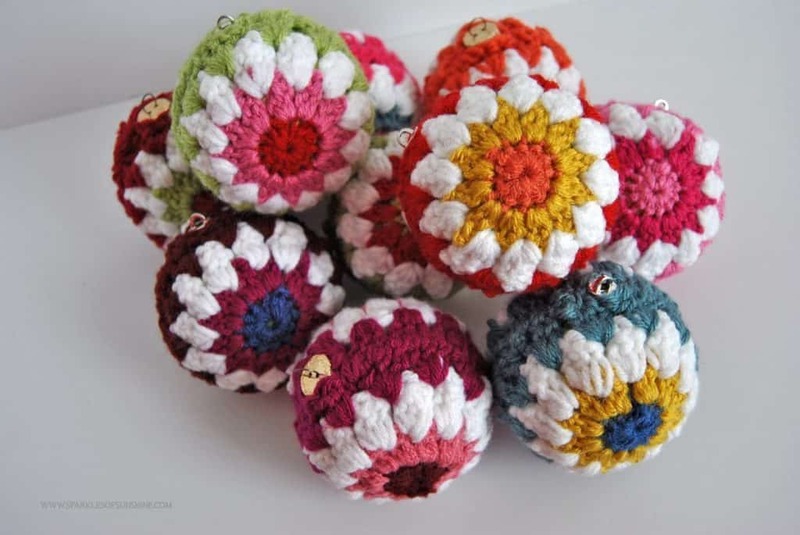 Are you looking for Christmas Ornament ideas? 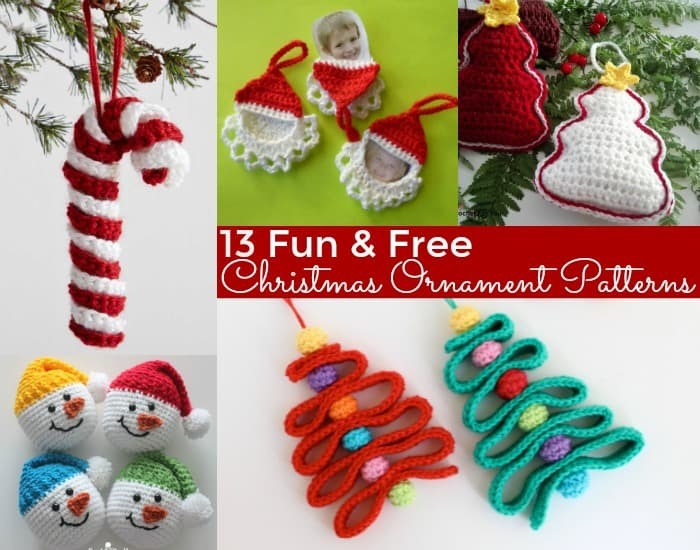 Whether you are looking to cover your entire tree in crocheted Christmas ornaments this year, or you’re looking to add one special ornament per year, this round up of 13 Adorable & Free Christmas Ornament Crochet Patterns is where you’ll find them! 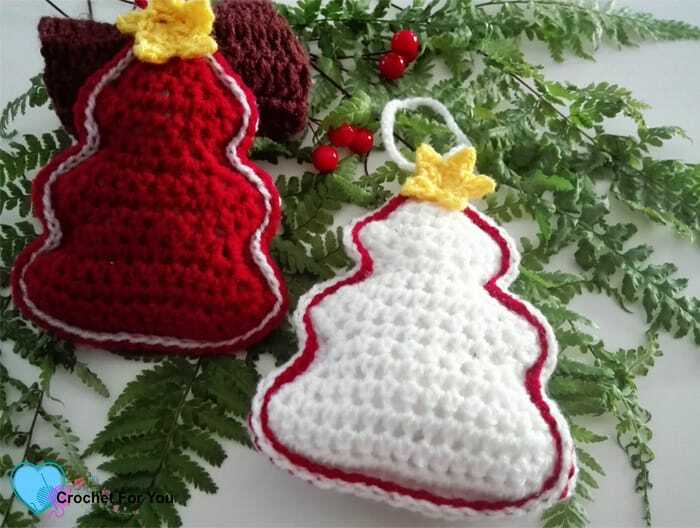 This list of Crocheted Christmas Ornaments includes easy ornaments, more complex ornaments, and everything in between. 1. 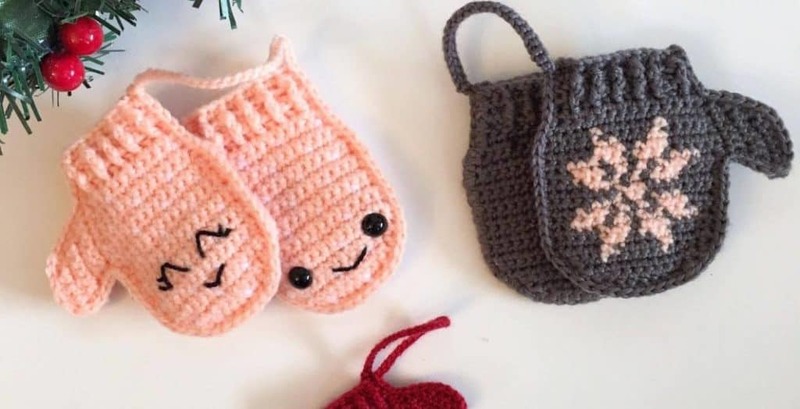 These Mittens Ornaments are just adorable! These are more for the intermediate or advanced crohet, or an ambitious beginner. Either way they are just too cute! 2. These Miniature Ice Skate Ornaments remind me of my childhood. I love the addition of the paperclips!! 3. When I think classic Christmas ornaments, these Christmas Ball Ornaments are exactly the ones that come to mind. I think I’d use some colors from the 70’s to really take me back. Maybe a nice burnt orange, brown, and green combo? 4. 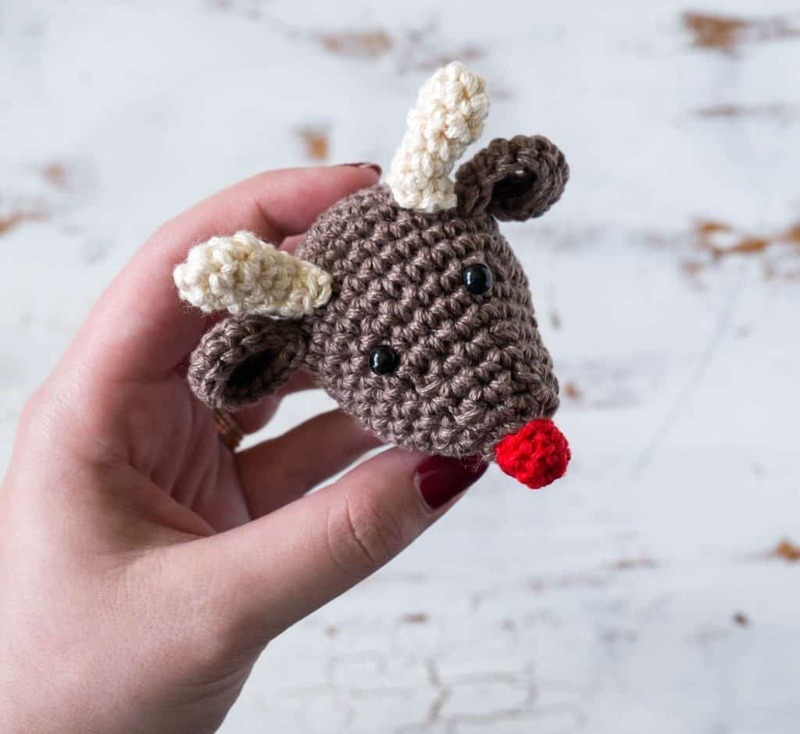 If you’re up for a little amigurumi, this Rudolf the Rednosed Reindeer ornament would be so fun! I love his little red nose. 5. These adorable little Christmas Tree ornaments remind me of holiday baking for some reason. Do they look like sugar cookies to you? I’m not going to ask questions! ha! 6. 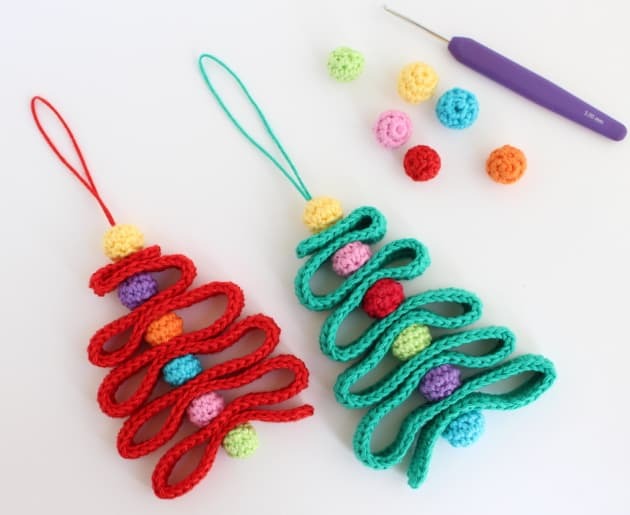 This Ribbon Cristmas Tree ornament screams easy and quick to me! 7. 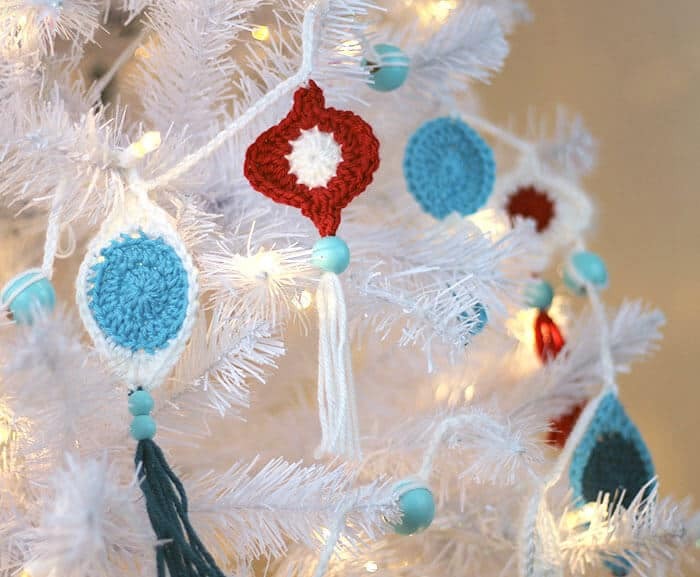 While not technically an ornament, this Retro Garland is fabulous! I looooove that bright red and the way they are strung together is just perfect. 8. If you’re new to amigurumi (stuffed crochet) this Amigurumi Santa Claus would be a great starter project! 9. 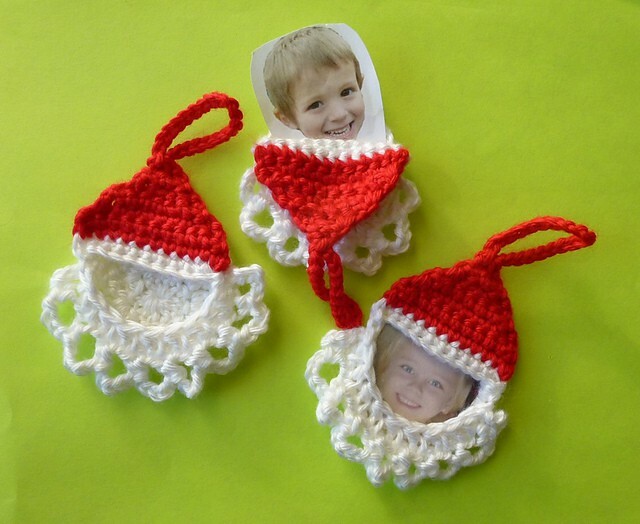 Something that might be fun to make new every year would be these photo frame ornaments. Insert this year’s school picture and voila! Christmas ornament perfection! 10. Do you love candy canes? 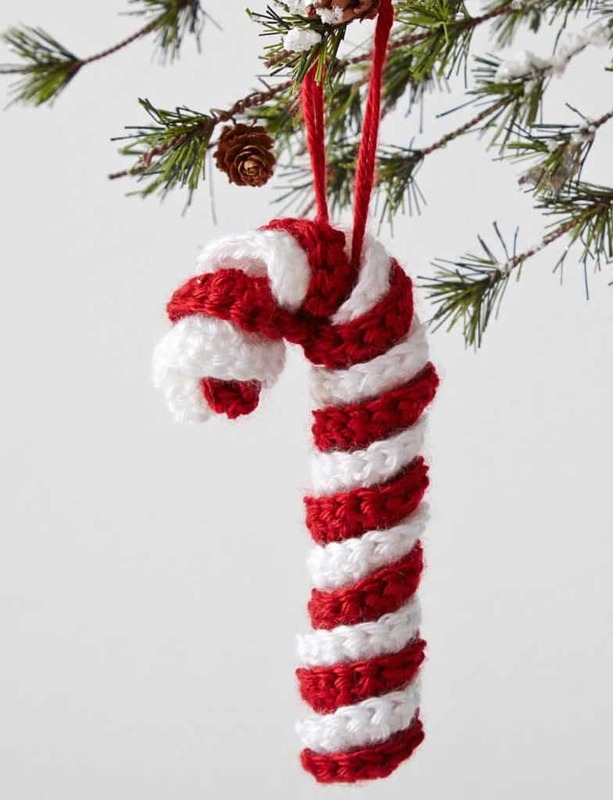 If so, this Candy Cane pattern from The Crochet Crowd is pretty perfect! 11. 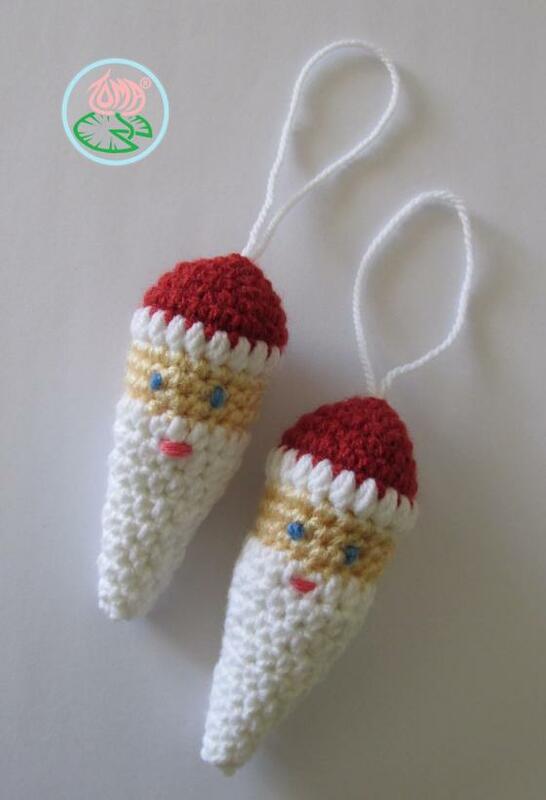 These little Christmas Stockings are simply adorable! 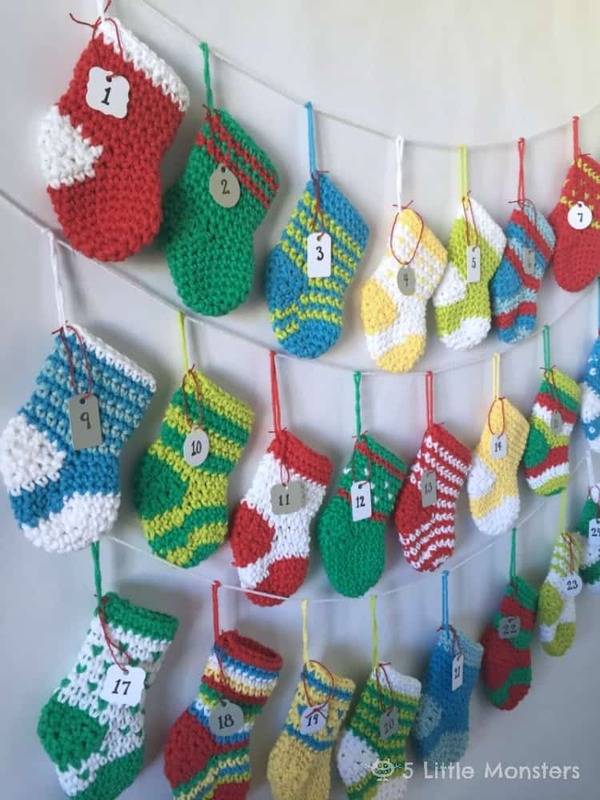 And, if you make enough of them you can turn them into an Advent Calendar. Whip one up to see how quick they are to make, then whip up a few more for the calendar! Adorable! 12. 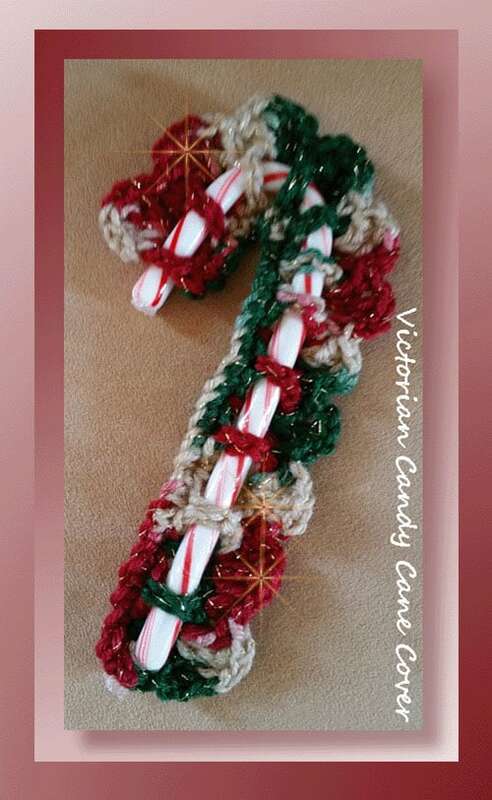 A quick little something to hang on the tree or to share with your child’s teacher(s) this year would be these classic Victorian Candy Cane covers. Maybe tied to a card with a cute little ribbon? 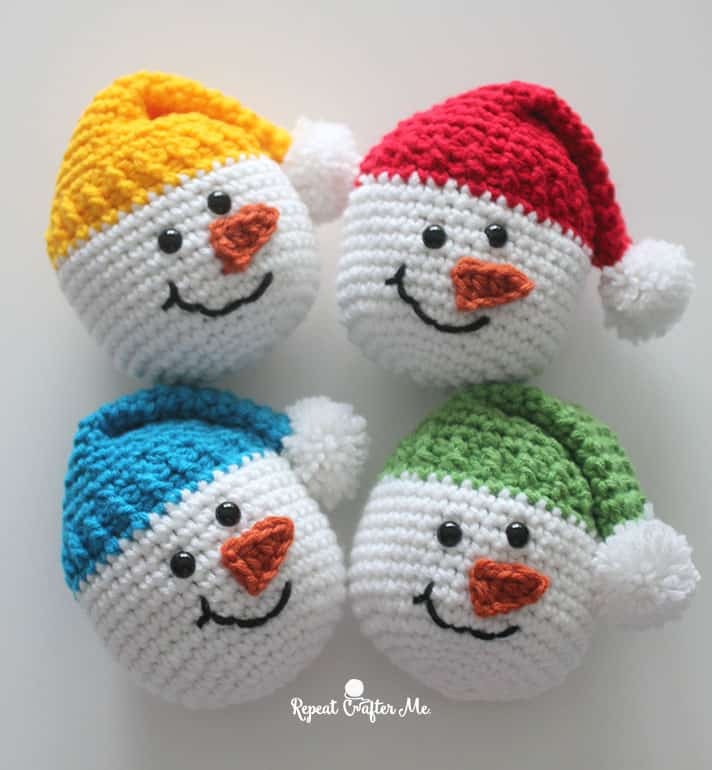 13. Who doesn’t love snowmen? Whip up some little Snowman’s Heads and hang them on your tree, or in the gront window, or on a garland! 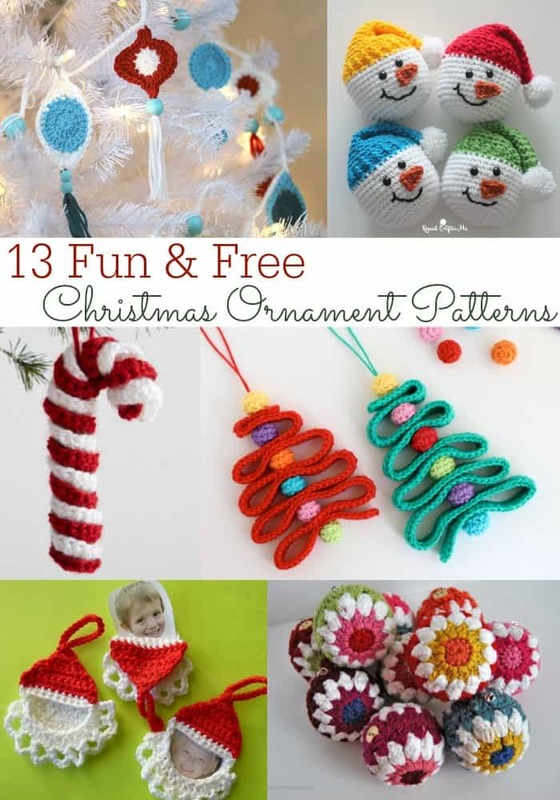 I hope that among this list of Crocheted Christmas ornaments you find exactly what you’ve been looking for. 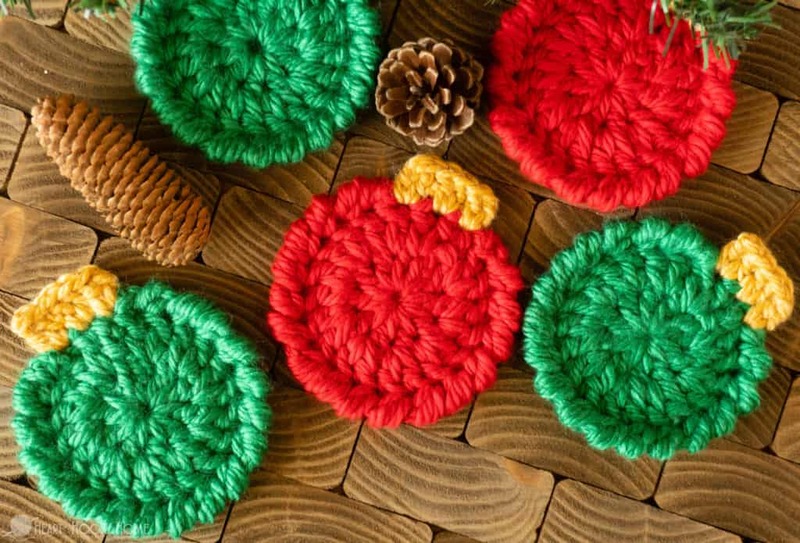 Whether you are new to crochet or you’ve learned a thing or two over the years, crocheting for Christmas time is always fun!